Empire Cheese and Butter CooperativeRecord Owner? Log in. 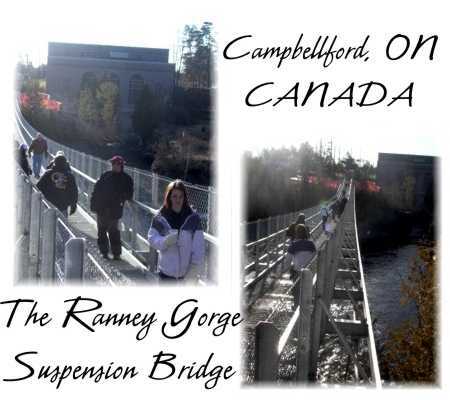 Accessible from the 401 on either Hwys 30 or 33 (exit 509-Brighton or exit 526-Glen Miller) to Campbellford or Stirling. Drive 20 km west of Stirling on Hwy 8 or 7 km east of Campbellford on Cty Rd. 8. #1120. Monday - Saturday 8am - 5 pm. Sunday 9am - 5 pm Closed Christmas and New Years. The first Empire Cheese Factory was built in the late 1870s, over 100 years ago, on the farm now owned by Glen and Sandra Petherick. 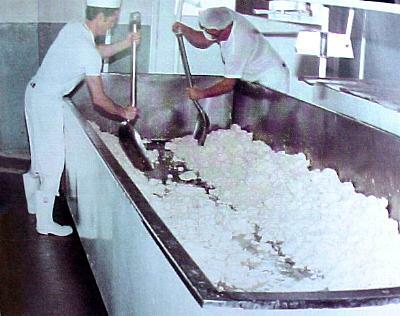 The first cheesemaker was John Haig. 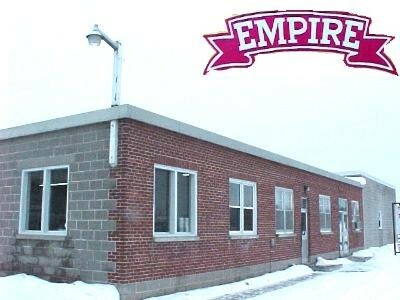 Today, the Empire Cheese and Butter Coop is the only cheese manufacturing plant left in Northumberland County and the first one east of Toronto ! We are now HACCP registered, the top of the heap in food quality standards ! 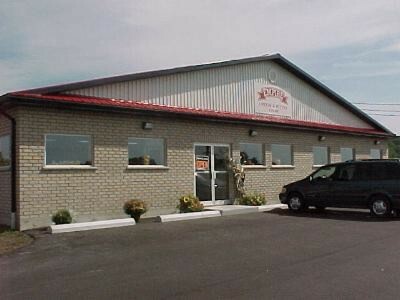 The majority of Empire Cheese is now sold through the factory store and various outlets in the Peterborough, Lindsay, Oshawa, Cobourg, Stouffville,Orono,Port Perry,Markham,Merrickville, Uxbridge,Burlington Farmers' Market and surrounding areas.. 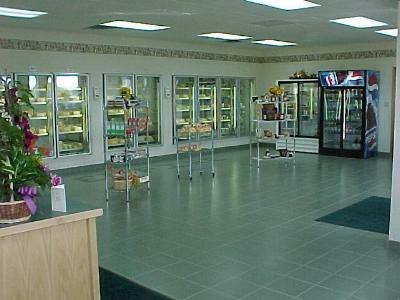 Empire Cheese is owned by local dairy farmers who hold an election each year to vote in a Board of Directors to run the factory. 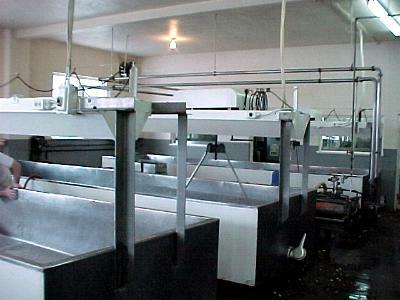 The factory employs 8 full-time and six part-time employees, with extra help at Christmas rush. 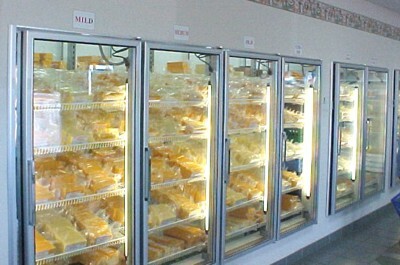 We offer mild, medium, old and extra old cheddar as well as Colby, Mozzarella and Havarti. Flavours - Onion, Garlic, Caraway, Red Chilies (hot), Horseradish, Black Pepper, Dill Seed,Jalapeno,Salsa. Bus Tour Groups welcome! Please call ahead so we can be ready with some samples!! Have something to say about Empire Cheese and Butter Cooperative? Well worth a stop if you are in the Campbellford area. 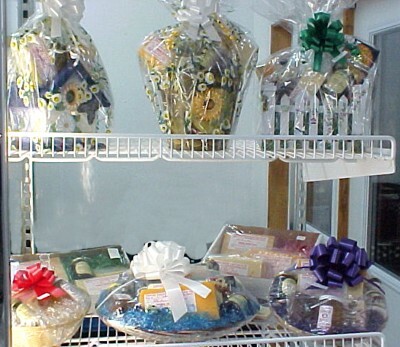 They offer a variety of cheeses of different sizes as well as a sampling tray. 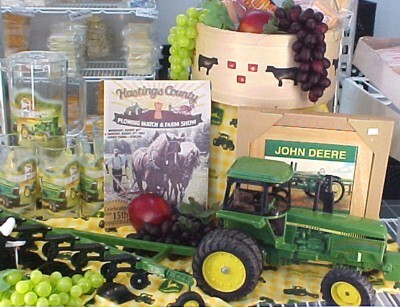 There are also cheese curds for sale as well as interesting chutneys, jams, etc. We would definitely stop by again. I love all the cheese at Empire. I make it my stop when I visit my family in Stirling. All the cheese is awesome. And there is nothing like fresh cheese curds! there are no better curds anywhere...but i'm in barrie and the one place that carried them doesnt any more help me....where oohh where are your curds locally???? 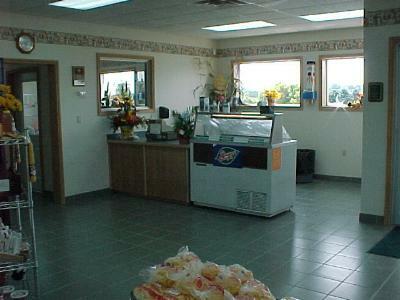 I have been eating fresh cheese curds from this place my whole life!! AMAZING!! Squeeky and FRESH!! 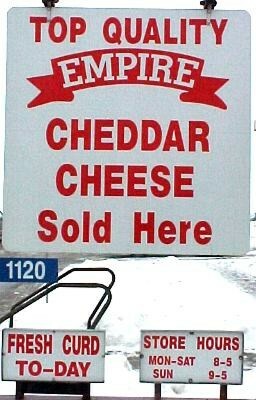 I have been going to Empire Cheese since I was a child when we had a family cottage in Campbellford in the 60's. I still drive from Pickering every year to get my fix of curds and extra old cheddar (the best). Your min 3 year old white chedder is just fantastic.Originally from England we appreciate the great taste of this particular cheese,very appealing with grapes or apple and a nice white wine. Thankyou Geoff Shelton.